“a Lamp to my feet. a Light for my path.” – 1 Jn 2:9-11; Col 3:12-14; Eph 4:29-32; Jas 1:19,20. | A LAMP TO MY FEET. A LIGHT FOR MY PATH. “a Lamp to my feet. a Light for my path.” – 1 Jn 2:9-11; Col 3:12-14; Eph 4:29-32; Jas 1:19,20.
we are in the darkness to this very hour. and so there is nothing in us that will cause someone else to sin. because the darkness has made us blind. he loved you and chose you for his own. So then, you must clothe yourselves with compassion, kindness, humility, gentleness, and patience. and forgive one another whenever any of you has a complaint against someone else. You must forgive one another just as the Lord has forgiven you. And to all these qualities add love, which binds all things together in perfect unity. so that what you say will do good to those who hear you. a guarantee that the Day will come when God will set you free. Get rid of all bitterness, passion, and anger. and forgive one another, as God has forgiven you through Christ. Remember this, my dear friends! for human anger does not produce the righteousness God desires. We all know anger from personal experience. that anger, in just the right amount, is a normal, even healthy response to reality. The challenge, of course, is in keeping anger down to just the right amount. 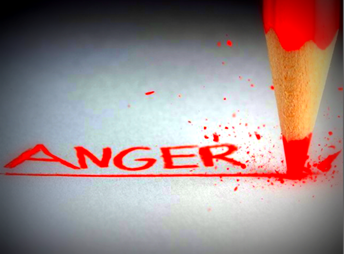 If anger moves outside the range of normal, it can be sinful and potentially destructive. Anger can be with self. When driven deeply inward, anger can turn into depression. even to destruction of property and persons. but at risk of doing harm to yourself, or others, or both. Knowing that you are in harm’s way, you become cautious. Let the emotion blink you down to a slower speed. Out-of-control anger can be nothing but harmful to yourself and others. But neither is anyone exempt from the duty of holding himself or herself in hand when emotions rise to threaten the peace in human relationships. Not to do so is to encourage the assault of anger on all that is good, and decent. and don’t let yourself off the hook too easily when your patience wanes and emotions of anger rise. and your ability to hold yourself in hand. – Fr. William J. Byron, SJ – from Catholic OnLine. Oh how I need You Lord.